Seabirds met in the sea, Summer 2017. The three founding members, Ruth, Kath and Cat experienced significant changes in their lives, resulting in daily sea swims. We all needed solace from the rat race and some life-changing curve balls and we found this in the sea and from each other. The simple joy of meeting, getting in the cold water together, being outside and doing something playful had a really powerful effect on all of us. 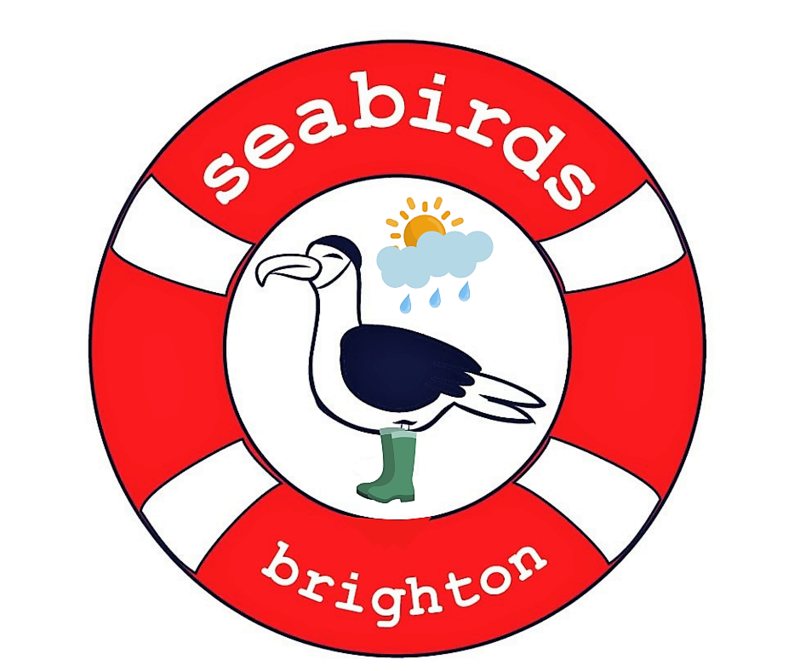 Whilst chatting, bobbing, changing, faffing and drinking tea, Seabirds was formed; in the sea, where all the best ideas are born! We decided to build a business with a moral code; ethical trading, organic, anti-waste and pro-people business, with a trading arm generating alternative funding for charities and local community groups. Our thriving Swimming Community can be found at Salty Seabirds and we have over 400 members who meet daily for a dip. We source ethically made products, avoiding environmental damage and waste. Plastic pollution solutions! Ruth – Mistress Of Magic I have spent the last 25 years teaching English, Art and Design Technology and in 2017 finally decided that it was time to move on. I have always swum in pools, lakes and rivers but my favourite has always been the sea, hence the move to Brighton over 20 years ago, and I have never looked back. I worked as a canoe instructor in my twenties and one New Year’s Resolution was to learn to surf before the age of 50, which I did. I really enjoy teaching and being in the sea and have combined these two activities by qualifying for my Surf Coach Safety and Rescue award and volunteering with The Brighton Surf Life Saving Club (which trains our future life guards) for the last few years. I am now looking forward to being able to continuing to pursue my love of sea-based activities within Seabirds. Cat – Chief Amazement Officer I have been working with vulnerable adults and families for more than 20 years. I also have experience of running a successful online retail business. Not what anyone would ever describe as ‘sporty’, much to my surprise involvement with Brighton Surf Life Saving Club through my kids got me in the sea learning to surf and owning a wetsuit! Now I love swimming without one as much as I can. From personal experience I fully understands the positive impact that being in the water and having fun in the waves has on my life and mental state and recognise it as a lifeline and amazing resource on our doorstep.